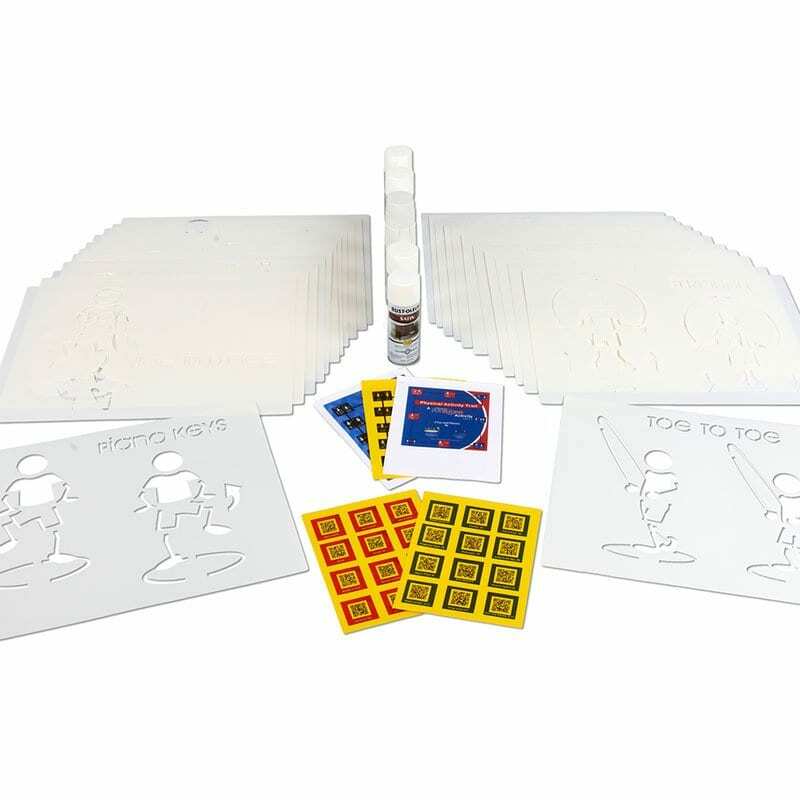 The Fitness FunZone® Trail is an affordable and permanent solution that makes physical activity accessible to all. 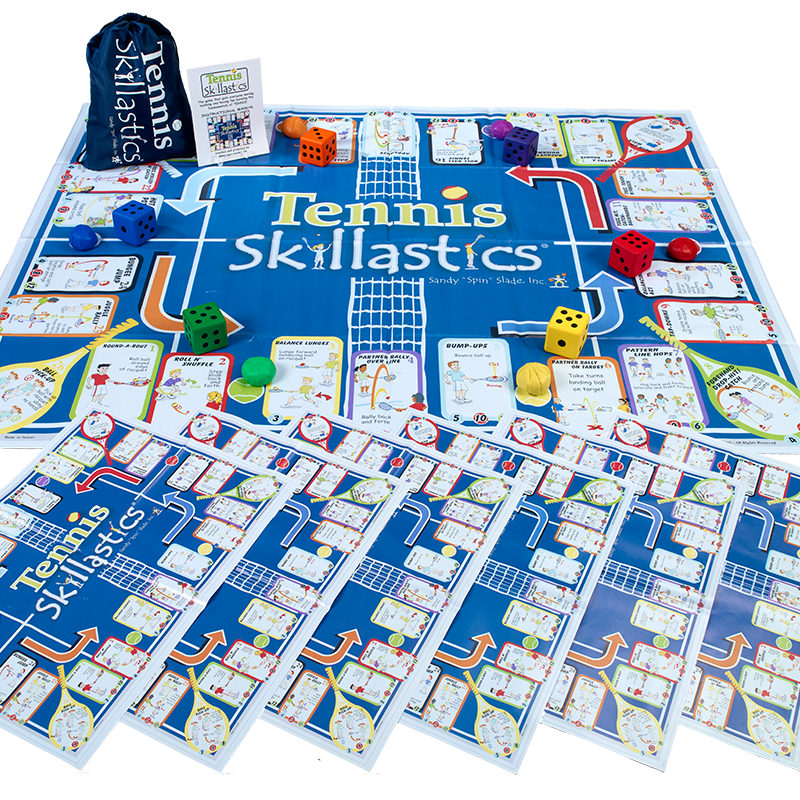 One of the best strategies for getting children more active is to change the environment, making physical activities easy and convenient. The Fitness FunZone® Trail consists of 24 physical activity stations which can be configured to meet your needs. 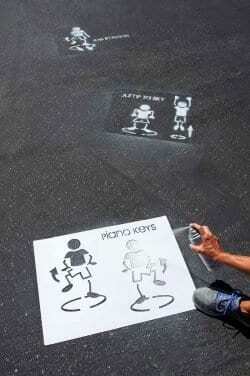 Simply scatter the stencil activities throughout a playground or park, making it easy and convenient for children AND adults to be active at any time! 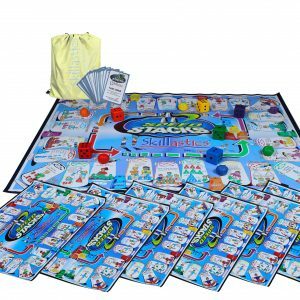 It’s great for cooperative learning activities! 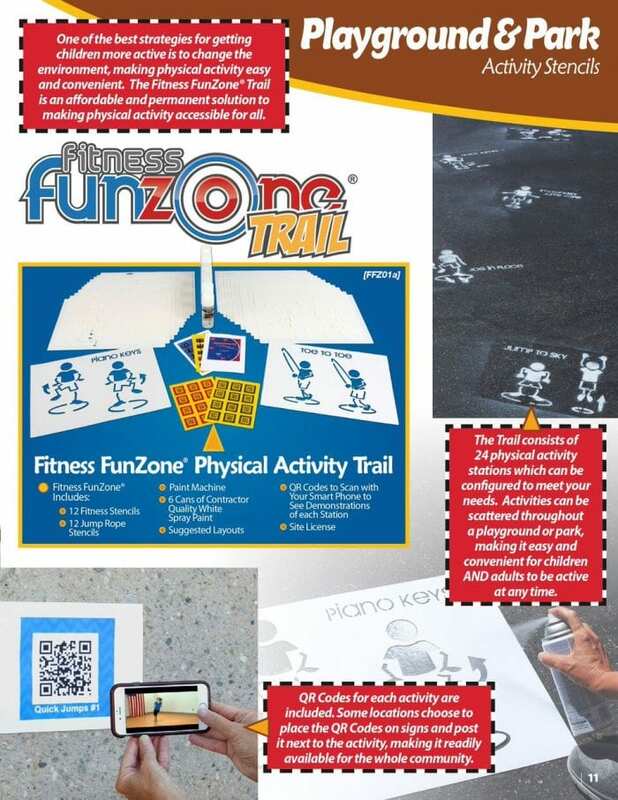 The Fitness FunZone® Trail includes QR Codes for each activity, allowing the option to place these QR Codes on signs next to the activity, providing visual instruction for the whole school or community.